Common Core Kickin' Combo Giveaway! Calling all second grade teachers! Do you want some "Kickin" Common Core resources to help you start this school year??? Then this is the giveaway for you!!! 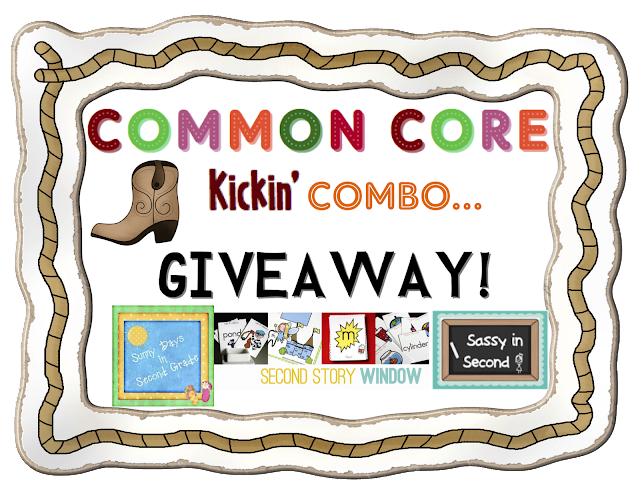 Saddle up and join in the fun with our ...Common Core Kickin' Combo Giveaway! 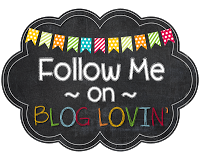 I am thrilled to partner up with three other amazing bloggers and top sellers on Teacherspayteachers...Denise from Sunny Days in Second and Emily and her sister Heidi from Second Story Window! These gals have mastered Common Core and have designed resources that go beautifully with the Common Core Notebooks! Here are some pics to show what all we are giving away and how you can best use all of the resources in your second grade classroom. That is right...we will be giving one lucky winner ALL of the packets mentioned below! 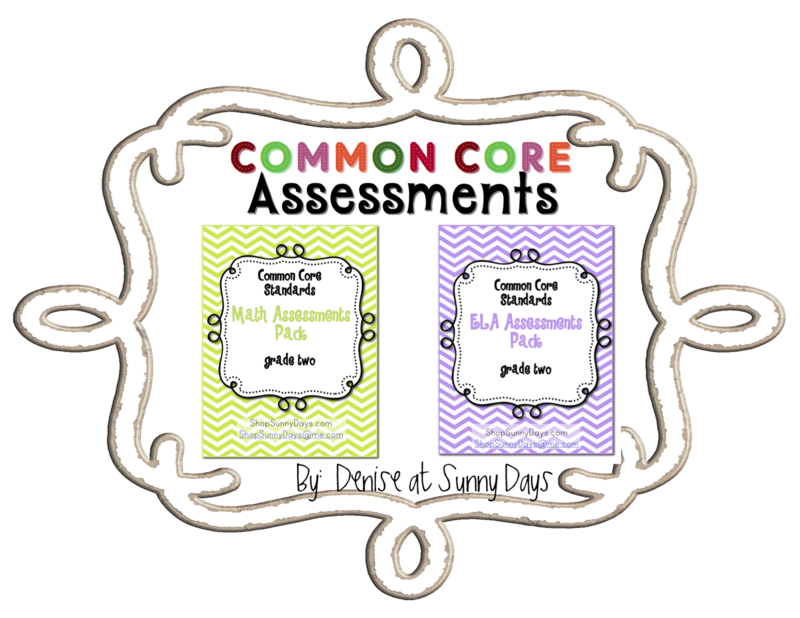 Denise at Sunny Days has designed these awesome Common Core assessments for all second grade ELA and Math Common Core standards! These packets provide everything a second grade teacher needs this year for formative or summative assessment!!! Very child friendly and right on target for checking mastery of the standards! Emily and Heidi at Second Story Window have created these amazing Common Core practice sheets for all second grade Common Core standards! Your students will have plenty of skill practice with their awesome morning work, homework sheets, and Common Core fluency passages! You have to see these packets to believe them! 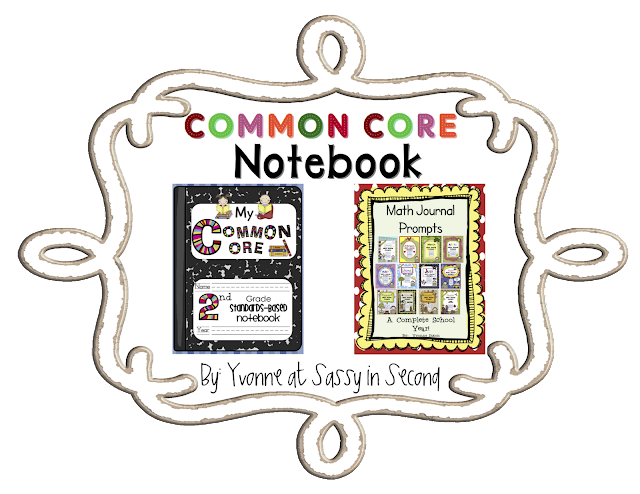 Yvonne at Sassy in Second has created Common Core Notebooks to help with Common Core portfolios and student-led conferencing! 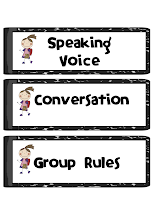 Included are Essential Question cards and Word Wall vocabulary to support Common Core instruction. The notebooks place students in charge of collecting their own artifacts as evidence of learning the Common Core Standards. 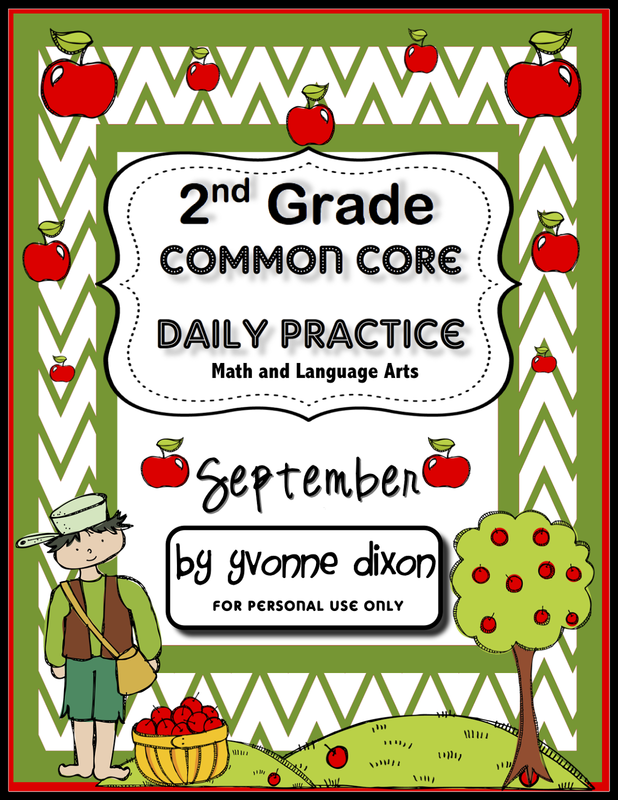 Math Journal Prompts for a Complete School Year are included for daily practice of Common Core math skills. 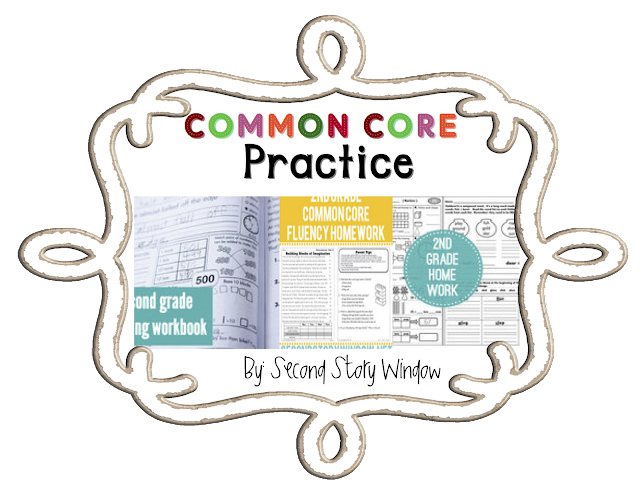 You get daily practice sheets and homework helpers to support your Common Core instruction! 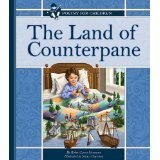 These sheets are supportive of your Essential Question and Vocabulary Word Wall cards provided in the Common Core Notebook. As your students use the morning work and homework practice sheets they master the standards. 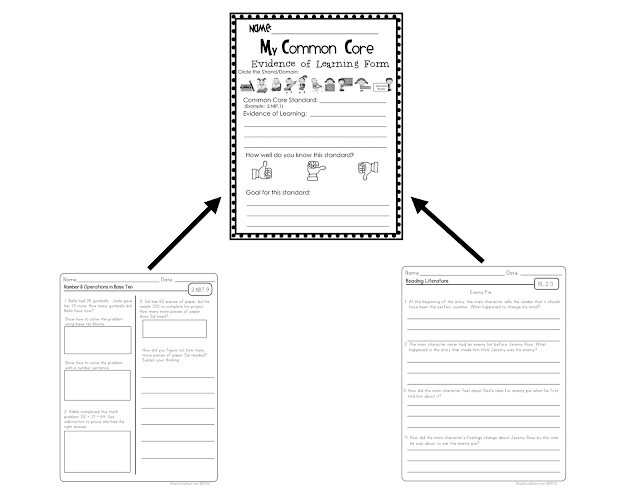 Use Second Story Window's practice sheets to provide the evidence of learning to place in the portfolios. 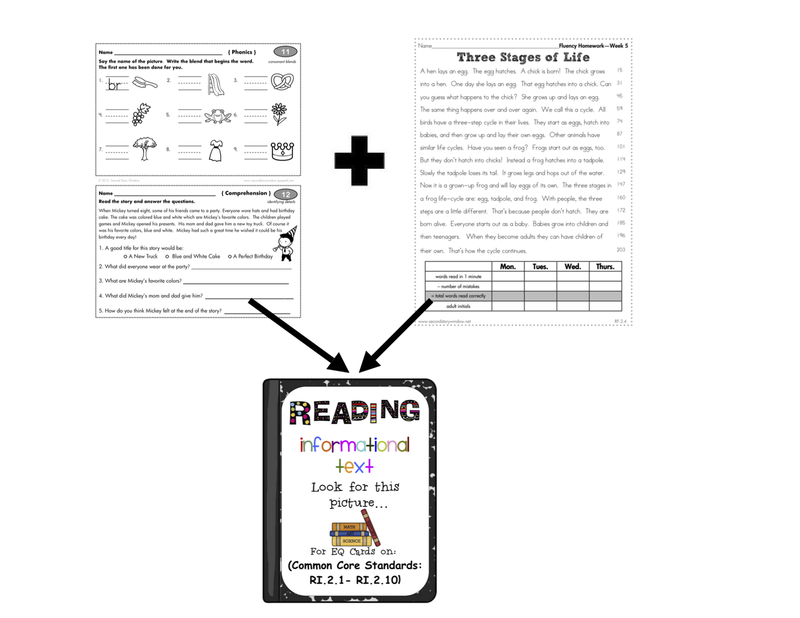 The reading fluency passages are coded with the standards so students can file them behind the domain cards and standards as evidence in their notebooks. You will receive assessments for all of the Math and ELA Common Core Standards to check for mastery of skills. These formative or summative assessments are a wonderful way to see who has mastered certain standards and to see who still needs to work on Common Core learning goals. 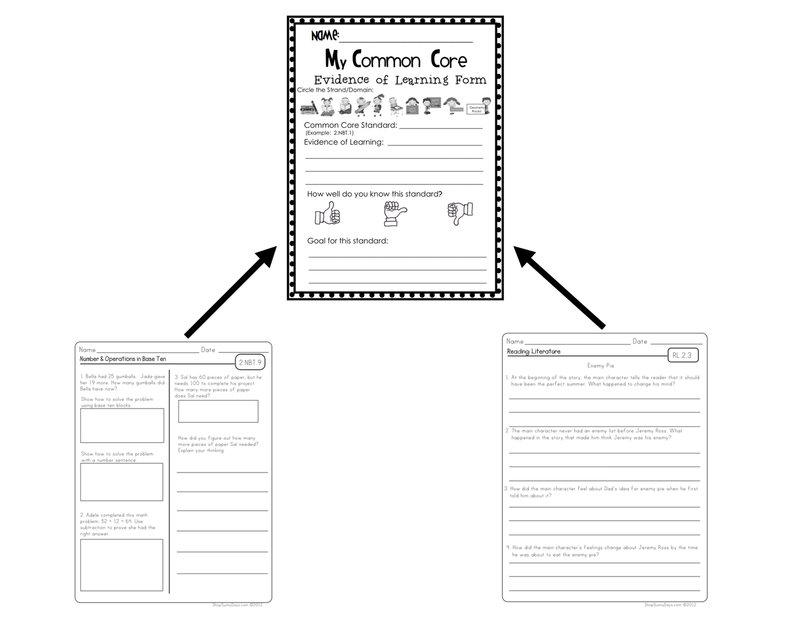 Once students show evidence of learning the standards, they file their assessments behind the domain cards in the Common Core Notebooks attached to an Evidence of Learning Form from the Common Core Notebook. We are excited to give away all of these Common Core goodies to one lucky winner! There is no purchase necessary. All you have to do is become a follower of our blogs, follow our TpT stores, and spread the word of this giveaway either with a tweet, Facebook, or Pinterest (your choice). 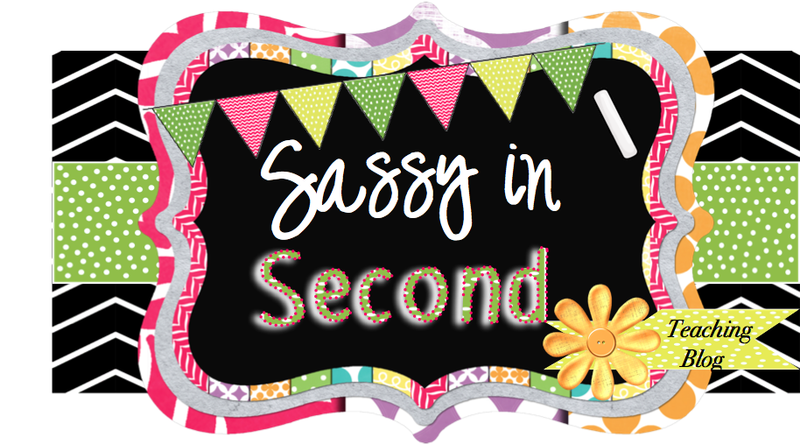 Leave a note HERE on Sassy in Second only letting us know you've done all three things along with your email. We'll pull the lucky winner on Saturday night (Sept. 1st) at 10:00! Hi sweet friends! I hope you all had a great start to your school week! 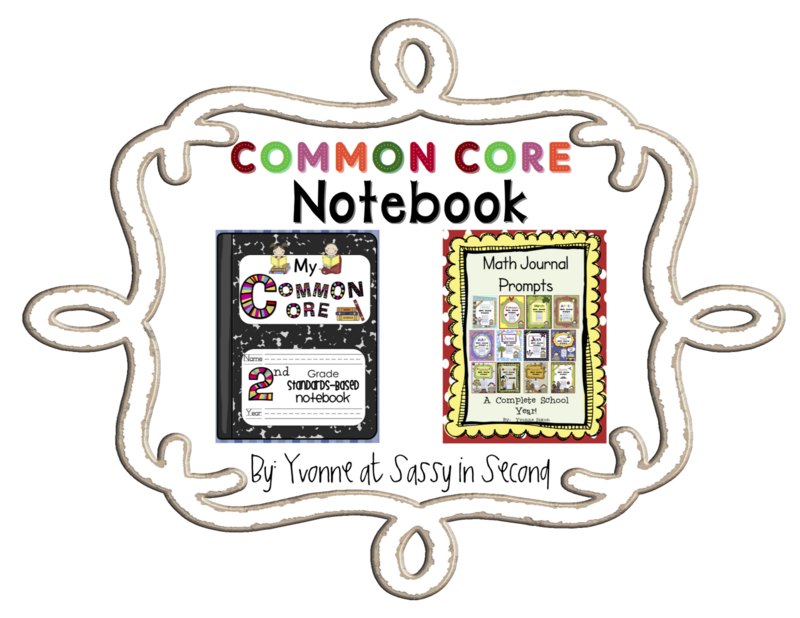 I want to say "thank you" to everyone who has purchased my CCSS notebooks for grades 1-5! The responses and comments I've received from teachers, homeschool moms, administrators, and Common Core leaders have been amazing! The support and appreciation for making these has touched my heart and made all of the work and time worth it! 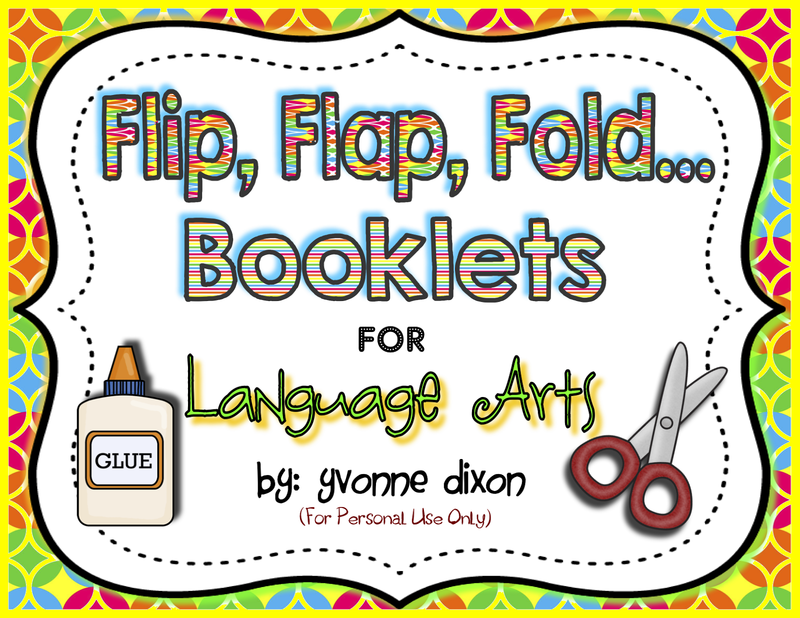 Personally, I love making teaching materials. 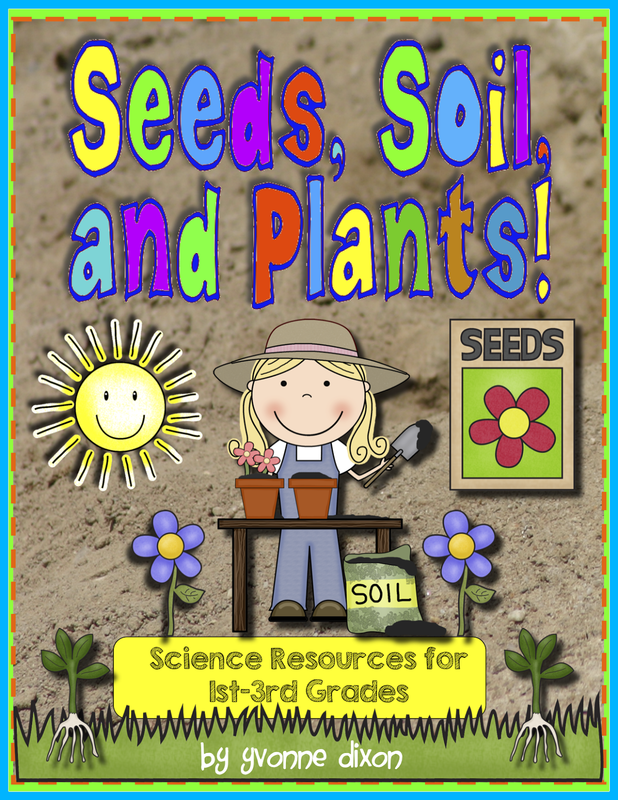 I love to share with others and I love finding resources that help my students! I really do feel these notebooks are going to make our jobs easier in the classroom and Common Core learning more meaningful for our students! I've had some questions asking how I introduce the notebooks to my students and the overall process of teaching the notebook. 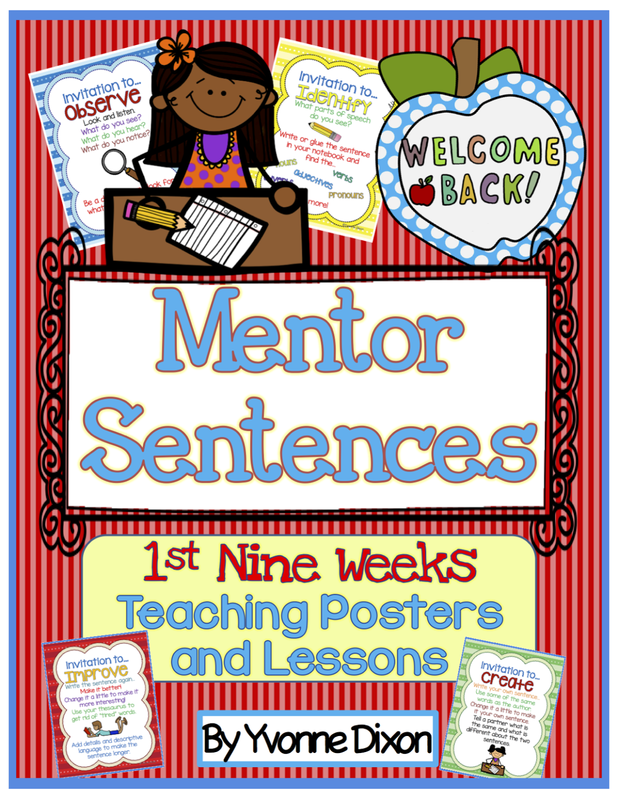 This post will give you a brief view of week one and how I am using them with my second graders. I also want to share how others are using them as well. Here are some of my student notebooks on my reading table. I went ahead and sent the letter (included in the packet) at Open House (the day before school started) requesting a 1-inch binder, sheet protectors and dividers. EVERY student in my room brought their materials in within a couple of days! :) I was amazed. I thought it would take a week or so. Here are several pics of the notebooks and how they looked once they were assembled and ready for my students. Many have asked about using colored ink. I decided to print all of my covers in color (a little costly) BUT I've laminated each cover and plan to use them again next year. For me, personally, I prefer to use printing services like the UPS Store as opposed to using my own ink cartridges. It just looks more professional and seems more economical to me. My students will take their notebooks home at the end of the year, but I am going to take the covers out first. They should hold up nicely inside the plastic covers of the notebooks. I wrote student names with a dry erase marker so it should come off easily next year. I use daily homework folders. These have nothing to do with our CCSS notebooks but I decided to hole-punch and place my list of standards in the daily homework folders so parents could see these all year long and know EXACTLY what I was teaching their kiddos. We are having curriculum night in another week and I will go over these with the parents then as well. I opted not to put the list of standards in the front of the CCSS notebooks because I wanted the standard's checklists there instead. In the front pocket of each notebook I have a "Starter" pack of standards tickets, standard recording sheets, evidence of learning forms, goal sheets, and ABC's and 123's of learning forms. I only put one of each sheet because I have a place in the classroom where I've made lots of extra copies for later use. The students will get what they need later on from these drawers. Here you can see that I printed all of my domain cards and other notebook sheets in black and white. I went ahead and placed checklists at the front and the domain cards in plastic sheet protectors. The dividers separate each domain. I placed one copy of the student-led conference form in the back pocket of each notebook. We won't even worry about this page until right before conferences in October. I just wanted to have it there for the kids to see as we are going over our sheets for the year. Once I had the notebooks ready for my students, we began to "learn" how to use them. Here are the notebooks on my student's desks. They won't keep them in their desks on a regular basis this year. I have cubbies in my classroom in which they fit perfectly! Bookshelves would work nicely also (you have the spine labels to help identify the notebooks on a bookshelf). Here is my classroom Word Wall by subjects. I place words back in the pockets once I've taught them from the front of the room. Well, I began by introducing the EQ card and really building up to my students that this year they are big kids in 2nd grade, in charge of their own learning and behaviors! I believe in the "teamwork" approach with my kids and the idea that I am their "learning coach". I stressed to them that they will be team players and I will be their Common Core coach! I explained that Common Core Standards are all the cool things they will be learning this year in 2nd grade! I gave examples of all we plan to learn (ex: reading and writing across the curriculum, fiction and nonfiction readings, projects, conversations, presentations, and so on...). Basically, I really pumped them up and let them know that in October they will present their "evidence" of learning to their parents. After that , we went on a tour of the portfolios (their collections of learning)! Step by step...that is the key! Keep it child friendly! I explained that today we would start with the little girl who loved to speak and listen for Speaking and Listening standards! I introduced the EQ and had the kids follow me step by step through filling out our first Standards Recording Sheet. They did a beautiful job and had no problem filing it behind their domain divider. During the past couple of weeks I've learned more about Common Core. 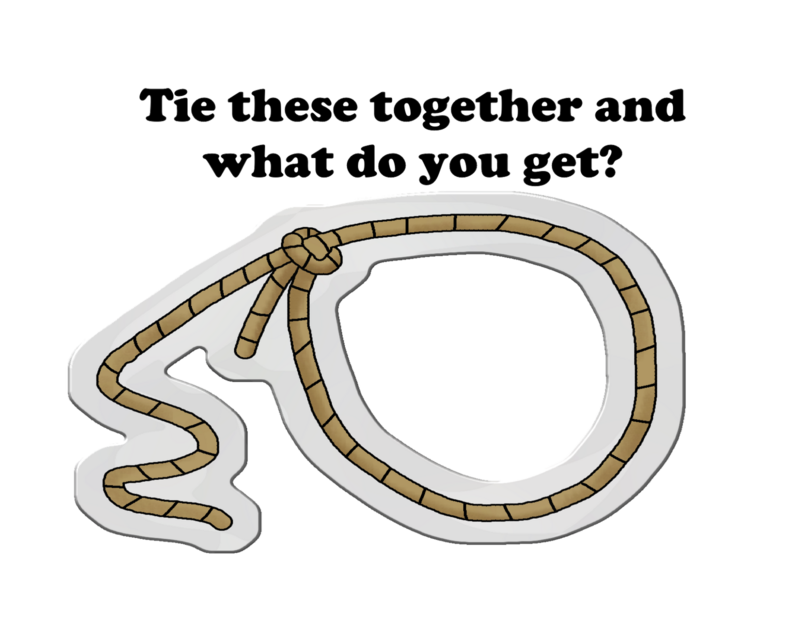 It has occurred to me that there are EQ's and vocabulary words that can be added to the packet. If you'd like to custom design your own essential questions or word wall cards, click here to get a pdf template for each domain graphic. 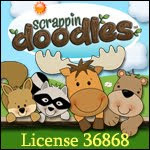 I wish I could offer it in word form but can't due to graphics license agreements. Hope you can use this in conjunction with all the other resources in my notebooks. I mentioned earlier that I'd like to share how others are using my notebooks. Here is a great post from a homeschool mom named Colleen who has purchased the 3rd grade version of the notebook and made up her own version for her 1st grader. She is using her own resources in addition to other resources from TpT in conjunction with the notebook. I appreciate her post and how she has shared with others how to adapt the notebooks for your own children. Overall, I feel I've had a great start for using our notebooks. My students are moving on to phonics by filling out a standard recording sheet for these two standards this week. We are already doing centers and games to support these skills and will file them with evidence of learning forms as well. 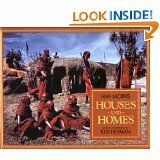 Common Core Curriculum Map Book Study- Second Grade Unit 5: Hand-Me-Down Tales from Around the World! RL.2.7: Explain how specific images (e.g., a diagram showing how a machine works) contribute to and clarify a text. W.2.3: Write narratives in which they recount a well-elaborated event or short sequence of events, include details to describe action, thoughts, and feelings, use temporal words to signal event order, and provide a sense of closure. SL.2.3: Ask and answer questions about what a speaker says in order to clarify comprehension, gather additional information, or deepen understanding of a topic or issue. SL.2.4: Tell a story or recount an experience with appropriate facts and relevant, descriptive details, speaking audibly in coherent sentences. EQ: How are stories and poems alike? How are they different? Here are some suggested works that include literary texts, informational texts, art, music, and media! 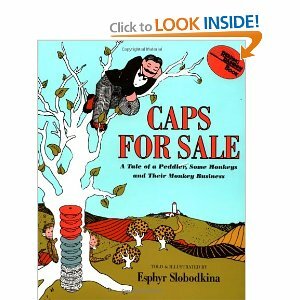 I was thrilled when I saw that many of these books and resources, I have in my own classroom or media center!!! The unit gives suggested objectives or activities you can do with these awesome resources! 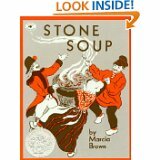 You can have your students read poetry, retell folktales, write imaginary narratives, invite guest speakers from other countries or cultures, compare stories or poems, and memorize poems. When I was reading the SLP (Sample Lesson Plan) for this unit I found myself getting excited over the idea of using..."The Pied Piper of Hamelin" by Robert Browning. 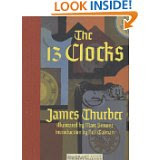 It is a poem based on a legend in Germany. It talked about teaching students about legends and using a program called "Comic Life" to create comic strips of the story. It also discussed how we can teach language skills through this poem (plural nouns). 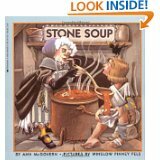 My favorite, though, was reading that I could use different versions of the story Stone Soup for story comparison! 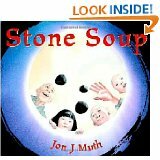 I love using this story with my second graders and will enjoy using venn diagrams to compare and contrast similarities and differences between different story versions. Click here to get your own copy of a venn diagram if you'd like to use it! :) We will also use a 5 W's graphic organizer that addresses who, what, when, where, and why. The unit goes on to discuss how we can incorporate geography lessons by having students use Discovery World and Around the World Series resources for informational readings. 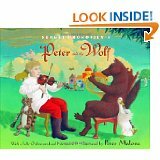 It continues to give examples of how students can write narratives to relate to other countries (for folktales) all the way to learning about music appreciation through the Russian composer, Sergei Prokofiev and his rendition of Peter and the Wolf. Unit 6: Taking Care of Ourselves at Teach123! 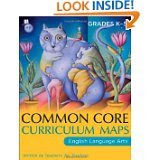 Welcome to the Common Core Curriculum Map Book Study for Second Grade! I am so excited to give you a brief overview of this amazing resource that teachers all over the country are using for Common Core instruction. 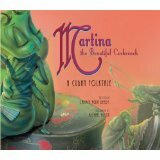 This book was developed by teachers for teachers to pair literary and informational texts into thematic units by grade level (six per grade). 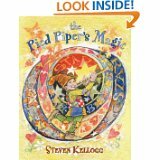 This is the K-5 book. There are curriculum maps for grade levels 6-8 and 9-12 as well. They all provide SLPs (Sample Lesson Plans) for the units as instructional road maps! 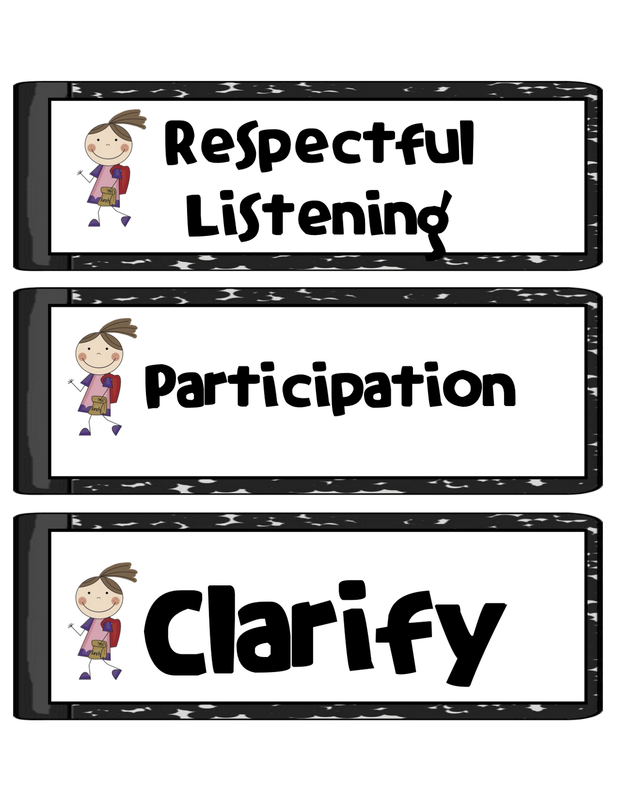 Each grade in the book includes a checklist to show the standards covered in each unit. Each unit contains focus standards, student objectives, essential questions, suggested works, sample activities, assessments, and sample lesson plans. 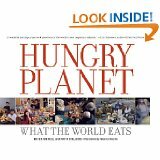 Below is a thumbnail of the book if you would like to purchase it from Amazon.com. If you buy the book (instead of the Kindle version) you get a pacing guide as well. 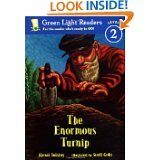 I am looking so forward to using this with my kids this year in reading groups and whole group ELA lessons. Many schools are implementing it school-wide across grade levels. This book study is going to be amazing! Many fabulous bloggers/teachers have signed up to share with you all the units and information from these curriculum maps each day! Make sure you check out Jennifer Ayers (Best Practices 4 Teaching) tomorrow for her post on Unit 1 for Second Grade: A Season for Chapters! Hi sweet friends! Hope you are enjoying your weekend! I am happy to let you know that starting tomorrow (August 12th-13th) all of my products will be 20% off!!! 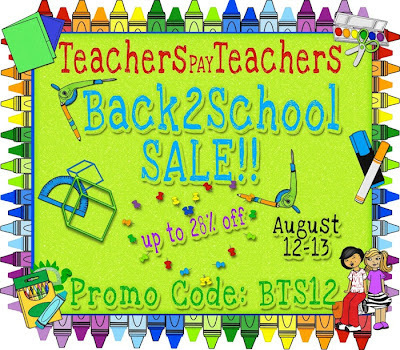 In addition, TpT will take an additional 10% off with the promo code BTS12! This is a great time to grab your back to school goodies at a discounted price! Click here or on the picture to check it out!!! Here I am on Thursday evening after two FULL days with my new class of second graders!!! Yesterday was the first day of school and it went great! I am loving getting to know my kids. I wanted to share the new pics I just downloaded on my computer! I am in the process of getting my Common Core portfolios all put together so we can start those on Monday! I'll take more pics to share then! 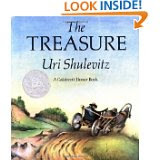 (A Teacher's Treasure) on TpT! Thanks to these ladies... my goody bags were a hit with my students! They were easy to put together and each treat inside had a special meaning. If you are looking for a goody bag idea I would highly recommend you check these freebies out! More classroom pics! These are my Back to School Get on the Bus Math and Literacy Centers! I like to use pocket charts...can you tell??? They are all over my classroom. 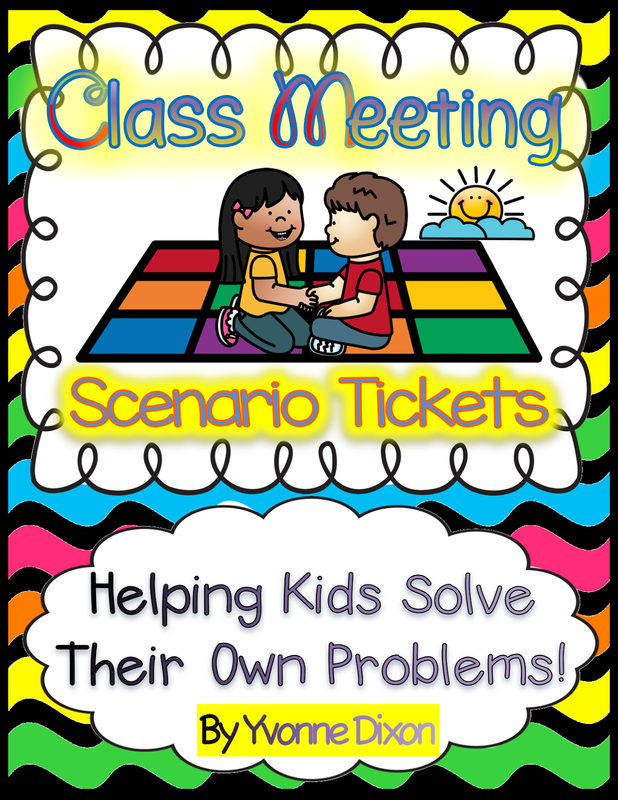 These are my math tub tickets that I use to group my kiddos for math tubs each week. The groups change depending upon the skill levels of my students. 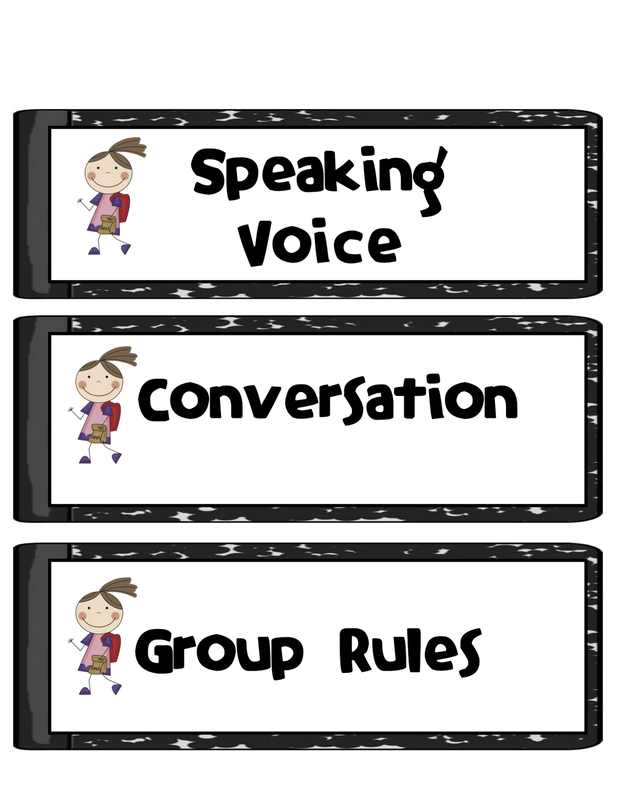 If you would like to use these for grouping your children, click on the picture for the download. I usually place 4 or 5 students in each group. They rotate around the room to a new math tub each day. LOVE this new drawer I bought! I plan to place math tub recording forms in here! 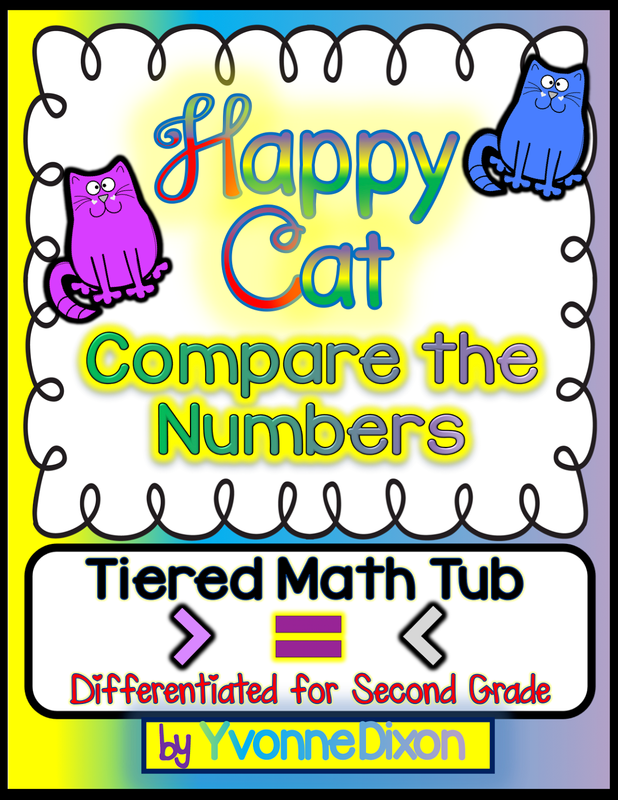 I have five math tubs each week...and there are five different colors. I love it when things work out! Another pic of my classroom before Open House! This is my new boy/girl helpers chart I made two weeks ago. My old one was looking very faded and I needed to update! I just used velcro strips to put up the cards. Looking at it here, I think I will go back and add two bows with ribbon on each side and velcro! The helper cards can actually attach to the ribbon. :) The kids love this! Please excuse my camera! 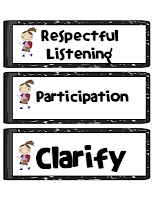 Here are the first EQ cards I've introduced from my Second Grade Common Core Notebook. 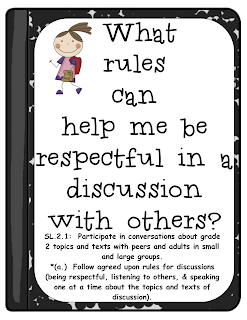 So far, we've just discussed the notebook in general and we came up with our class rules in groups. 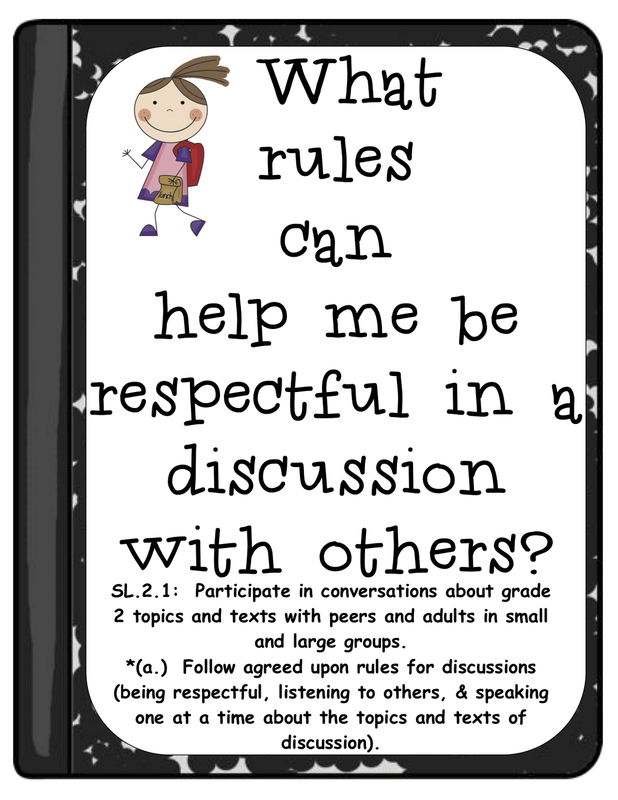 I plan to have my students copy the rules they developed and staple to their evidence of learning form. I'll share those with you then along with some pics of their portfolios. One last pic of my room. Open House went really well! Since we added a sixth second grade classroom, I only have 19 students and ALL of them showed up for Meet the Teacher! When I first started teaching 20 years ago, I was a first grade teacher at an inner city school and I was lucky if half of my families showed up. I feel very blessed to teach where I do now.